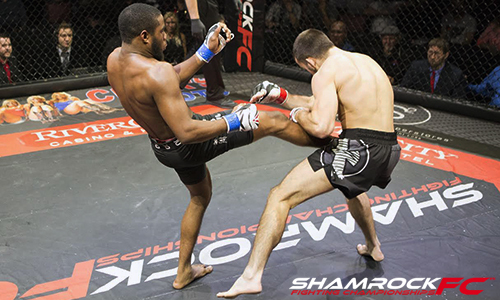 Gritty, grimy grappling, a new standout planting his flag, and the 2016 moment of the year were the focal points of Friday's Shamrock FC 279 at the River City Casino. Shamrock FC caps its back-to-back weekend, a promotional first, tonight in Kansas City with SFC 280. UFC-vet Matt Veach had not fought since 2013 but the time away and fighting up a weight class didn't detour him from grinding Steve Mann into the mat and snuffing out a submission in Friday's main event. Mann, known for his striking, was content to grind with a grappler for most of the fight, never consistently springing free to throw much less land combinations. Veach, known for his wrestling and his days training at the Matt Hughes-era Hit Squad, scored a takedown early in the first but Mann was calm on the bottom and worked his way back to his feet. Veech shot in with another takedown and Mann went after a sneaky guillotine attempt. Once free, Veach kept the action pressed to the fence to ride out the round. Veach, last seen in action on March 9, 2013, in Newcastle, England, came across the cage wild and heavy and pressed Mann against the fence to start the second and that is where the action stayed and stalemated. Late in the round, Mann popped a knee through to the face that did some damage but Veach would not tire or go away easily. It was more of the same to start the third. Veach pressed forward and got the takedown. Once on the floor, he zeroed in on Mann's arm, first with a kimura before eventually straightening out the arm and getting the tap. It was not easy, that's for sure, Veach said. This is the best feeling in a long time. In a grueling, grappling-heavy co-main event, Demetrius Wilson earned a split decision victory over Erion Zekthi. Considered one of the most anticipated fights to close out 2016, Zekthi and Wilson had built up plenty of interest through social media and pre-fight promotion. After a clear-cut first round for Zekthi, Wilson changed the momentum early in the second. Wilson ducked under a spinning back fist and planted Zekthi to the mat. From there the two were entailed in various grappling and clinch positions. Zekthi showed superior footwork throughout the affair but did little with it as far as striking. Committed to his patented single, Zekthi went after Wilson to start the third round. Both growing more tired by the minute, Zekthi and Wilson were content to pitter-patter each other in Wilson's guard before another scramble caused Wilson to get dominant position and end the fight in the mount. Wilson improved to (4-1) while Zekthi (1-1) suffered his first-ever loss in MMA. In the 155-pound division, Luis Pena may have the most complete MMA game around. Pena submitted a tough and gnarly Brandon Schehl in the second round via rear naked choke. It was Pena's second win as a pro in less than three months. In September he KO'd Chris Perry in the first round at Fight Hard MMA. Pena - who won the SFC and Fight Hard lightweight amateur championships earlier this year stymied Schehl early on. His length and flexibility slowed Schehl's wrestling and Pena was able to bust Schehl up with elbows. Calm and confident throughout on his feet, Pena was looking to set up a big finish, whether by flying knee or spinning strikes. 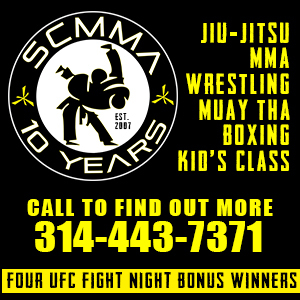 In the second he smoothly went from Schehl's back to side control, to mount to eventually taking the back again and sinking in a deep rear naked choke at 3:40 in the second round. Hearts were heavy as AJ Siscoe made his return to the cage. Siscoe, a Bellator veteran diagnosed with Hodgkin's Lymphoma in 2015, went through multiple opponent changes and a tilde wave of emotions to submit Jordan Hernandez early in the second round. After a brief feeling out process, Siscoe went to his ground game, getting to side control and putting a knee on belly as he roughed Hernandez up. Hernandez did latch on to neck come out of a scramble, but Siscoe defended well. Near the two-minute mark, the pace dropped and the two were snarled in a grappling exchange. Siscoe muscled through an armbar attempt and the two ended the round trading punches inside Hernandez's guard. In the only women's bout of the evening, Francis Herandez utilized accurate and powerful strikes to finish fan favorite Susie Wyatt at 1:32 the first round. In a 160-pound catchweight, Andrew Ebers showcased his black belt jiu-jitsu game in his pro debut to kick off the main card. Ebers quickly scored a nice trip of Dan Busch. Ebers made his way to the back, eventually laced in a tight body triangle and tried multiple rear naked choke attempts that Busch was able to fend off. But the third and final attempt did the trick as Ebers got the submission just under the three-minute mark. Bush dropped to 1-1. Joe Kelso stormed across the cage in the featured bout of the undercard and Kevin Roper greeted him with a right hand that sent Kelso to the canvas. Roper peppered in some hammer fists to get the quick TKO victory. It was Roper's second lightning-quick finish in three weeks. Scrappy late replacement Zashaun Gist came out quick against favorite Derik Scott. Scott had to survive a barrage of submissions including what appeared to be a tight guillotine from bottom, before he wound up on top, forced Gist to belly down where he finished with a rear naked choke. Scott improved to 5-1 with the win. In a special K1 bout, Ian Zarvos scored a TKO at the bell over Cody Leas. Zarvos popped Leas with a left and followed with an overwhelming right hand. Vince Hutchens earned a unanimous decision win over Dee Baron. Russian import Elmar Umarov made quick work of Nikk Willyard with a first round TKO. Umarov landed a head kick that send Willyard crashing to the mat, then followed it up with a healthy dose of ground and pound before ref Mike Wassem stopped the fight. Umorav improved to 5-0. In the first fight of the night, the first round was all Aaron Fahr who nearly ended the fight with a nasty looking arm bar that had the crowd groaning, and then again with a vicious right hook that put opponent Chris Budge on his seat. 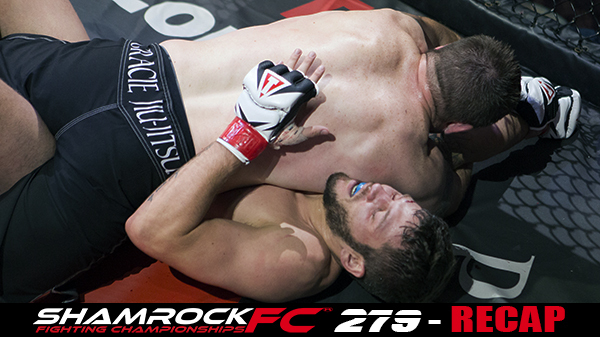 Fahr dropped him again in the second near the end of the round two with a two punch combination. Despite a late surge by Budge in the third, Fahr walked away with the unanimous decision.